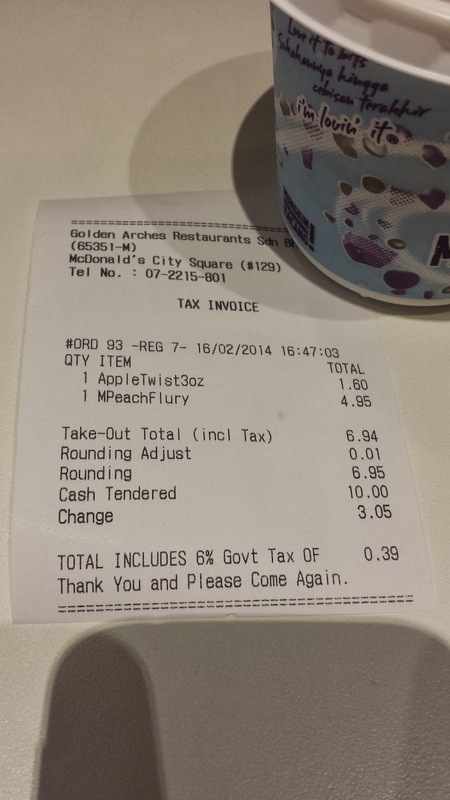 I gave this McFlurry a pass the first couple times I saw it on our weekly trips to Malaysia. I've noticed that their promotional McFlurries usually last at least 3-4 weeks, so I wasn't in any rush to give this one a try. 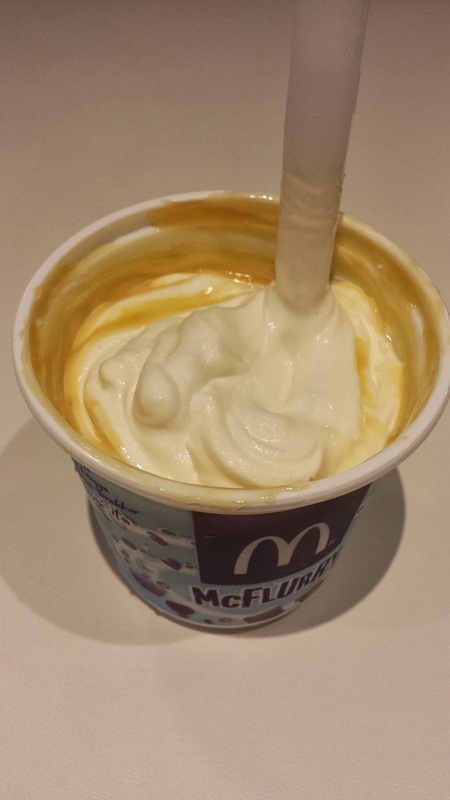 Malaysia does seem to do their McFlurries a bit better than here in Singapore, as they usually do have large chunks of real fruit mixed in amongst the syrup. This exact same flavour just popped up in Singapore last week, but at $3.80, I won't be giving it a try to see how it compares. 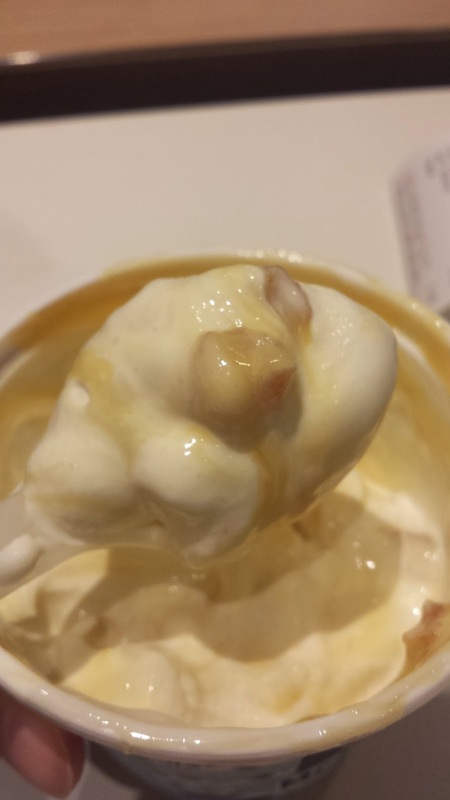 This was the standard Vanilla Ice Cream, with a mango syrup with large chunks of peach inside. 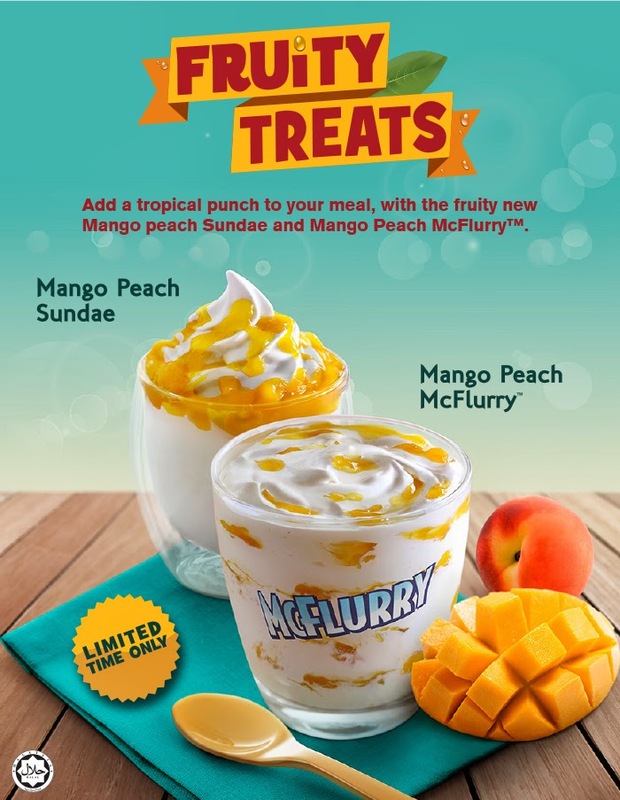 Aside from the Baked Peach Pie, which was sold out in Canada (so I never could try it) when I visited a couple Christmas' ago, I think this is the first time I've had peach anything at McDonald's. It was a pretty good flavour combination, which I enjoyed. The mango syrup was sweet, but not over overpoweringly so, and the peach chunks, though you could tell they were soaked in syrup, were a nice, and flavourful. 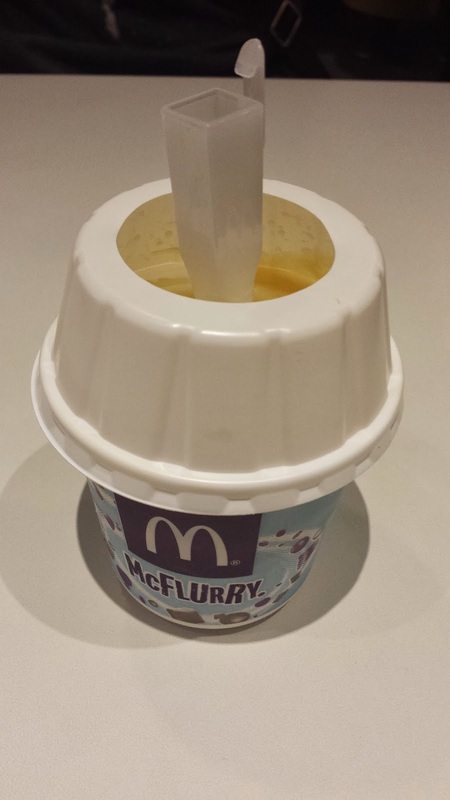 I've tried both McFlurries and so far, they did justice to the flavors. 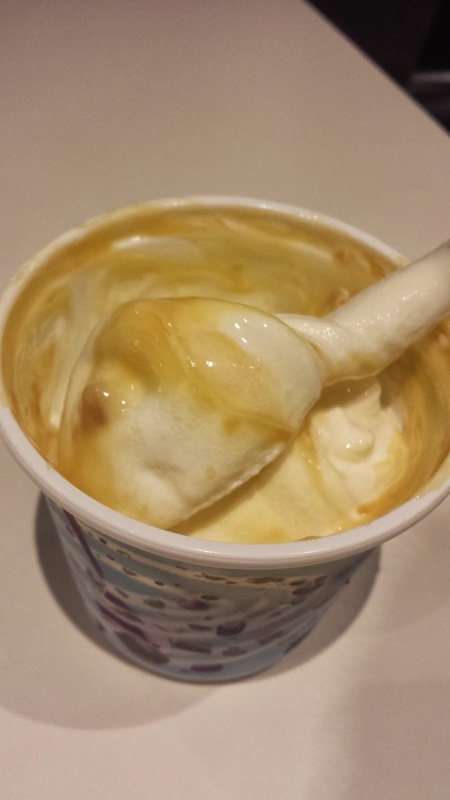 I'll probably try those McFloats soon!